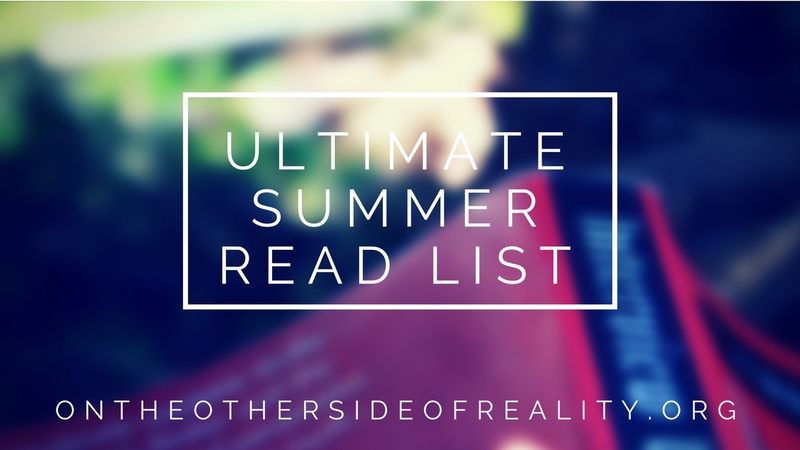 Ultimate Summer Read Rec List - Beach Reads for Every Type of Bookworm! Hey, guys! Today I'm linking up with The Broke and the Bookish for Top Ten Tuesday (which I should really do more often??). This week's topic is a summer reads freebie. Personally, the first things that comes to mind when I think "summer reads" are light + fluffy contemporaries. But I tend not to enjoy those types of books - in fact, we all have different reading tastes. So with that in mind, here are 10 different book categories and a recommended read for each genre. Six-Second Summary: Vaughn is an asexual emerging artist. Jonah is definitely not-ace sarcastic insurance agent. A series of art thefts at Vaughn's gallery brings them together, and as they fall for each other, they struggle to reconcile the ace/non-ace space between them. My Thoughts: I usually hate fluffy contemporaries?? But I absolutely LOVED this one. 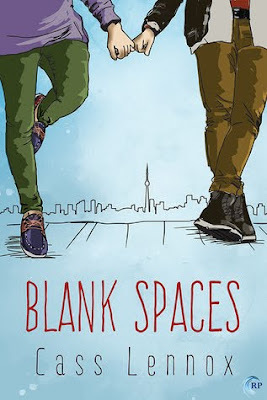 Jonah and Vaughn are beyond precious (in fact, all the characters are), and this book brilliantly balances being incredibly cute and bringing in several more serious topics (such as the foster care system and the divide between the rich and the poor). Six-Second Summary: Bent on revenge against his master and the magician who publicly humiliated him, magician apprentice Nathaniel summons a 5,000 year old wisecracking djinn. Unbeknownst to both, they're about to be plunged into a web of intrigue and deceit that has its roots in London's darkest magical secrets. 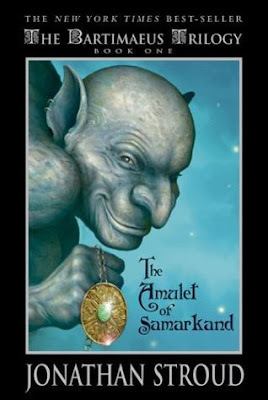 My Thoughts: Bartimaeus is one of my all-time favorite fictional characters, and this book is worth a shot just for him and his snark. Plus, the intrigue and mystery keeps you guessing right up until the end. Six-Second Summary: Abuse. Suffering. Healing. Loving. It's a cycle almost all women go through, even in modern day society where we like to think sexism is completely eradicated. In Milk and Honey, debut poet Rupi Kaur explores the struggles and triumphs that come with being a woman today. My Thoughts: THESE POEMS ARE SO GOOD. Heart-wrenching, insightful, and emotionally charged, there was rarely a second when I wasn't going "Yes!! This!! I want to tape this up everywhere". Even if you're someone who doesn't like poetry, I would recommend giving this one a shot. It's definitely not your traditional poetry book. Six-Second Summary: In the kingdom of Khorasan, Khalid, the boy-king, takes a wife every night only to have her killed come morning. 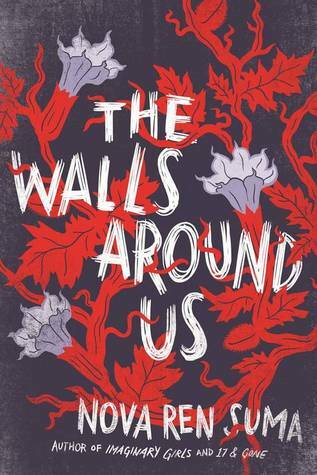 When Shahrzad's best friend is taken and murdered, she resolves to do everything in her power to get vengeance - even going right to the heart of Khalid's dark past and bloody secrets. 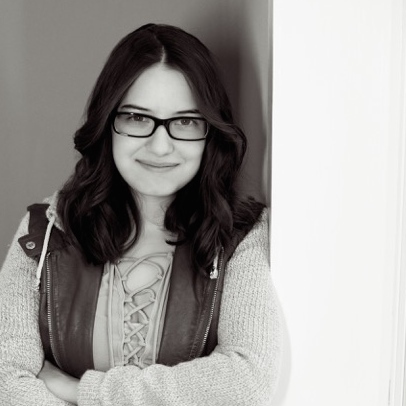 My Thoughts: I usually hate retellings. It takes a LOT to get me to like a retelling, but The Wrath & the Dawn had it all. I knew how the original story turned out, but this one was still highly unpredictable. The writing was lovely, and the characters were quite intriguing. If you haven't read this one yet, what are you doing? Six-Second Summary: Basically The Illiad, but super gay and super sad. My Thoughts: INCREDIBLY WELL-WRITTEN. EXCELLENT CHARACTERS. BUT BE WARNED: TSOA WILL RIP OUT YOUR HEART AND STOMP ON IT. 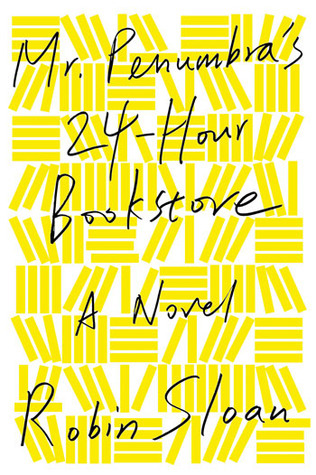 Six-Second Summary: Clay Jannon gets a job working the graveyard shift at a mysterious 24-hour bookstore where the only customers seem to borrow books, never buy them. As he starts investigating the secrets behind the bookstore, he gets drawn into a web of cultish intrigue and mystery that may hold the secret of the end of the world. My Thoughts: Okay, FIRST OF ALL. 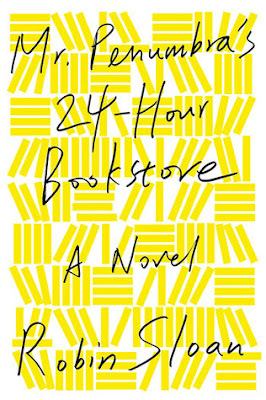 A 24-hour bookstore?? How cool is that? The whole dusty old books, shelves so high you can't see the top kind of aesthetic really appeals to me. Secondly, Clay's voice is incredibly engaging, and the mysteries keep you guessing and unsure at every twist and turn (and there are a lot!). 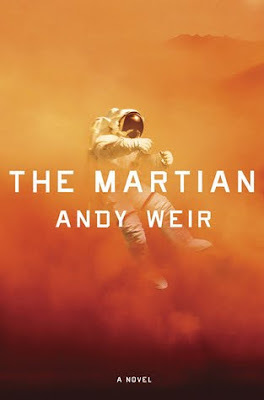 Six-Second Summary: Mark Watney is one of the first people to walk on Mars. He also might be the first person to die there. After a dust storm nearly kills him and forces his crew to evacuate without him, Mark is completely stranded on Mars's surface. The astronaut is determined to stay alive, however, using his botany expertise to grow food and even hatching a mad plan to contact Earth. My Thoughts: I usually hate both science fiction and survival stories. Space doesn't really interest me, and survival stories make me too anxious and stressed. However, I LOVED The Martian. The brilliant writing, Mark's hilarious voice, and the multimedia layout of this book (told partially through narration and partially through log entries) combine to make it one of my favorite reads of 2017. Six-Second Summary: It's 1600s England, and apothecaries are being mysteriously murdered throughout London. This does not bode well for Christopher Rowe, who is an apothecary's apprentice. When his own master is killed, he is thrown into a mystery rife with conspiracy, explosions, and magic. My Thoughts: HAHAHA. YOU THOUGHT I COULD GO MORE THAN A WEEK WITHOUT RECOMMENDING THIS BOOK. 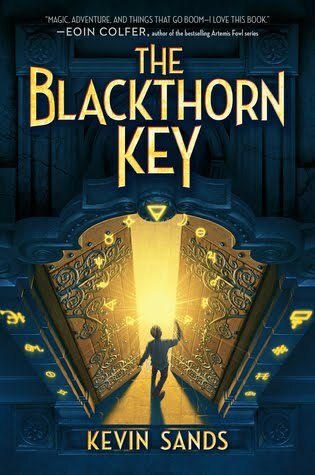 The Blackthorn Key is one of the best books I read last year. It's one of the best books I've ever read, hands down. It's hilarious, heartwarming, suspenseful, and magical all in one. If you like any of Jonathan Stroud's books, you'll love The Blackthorn Key. Until the Antichrist goes missing. And it's up to a bookish angel and fast-living demon to find him. My Thoughts: Good Omens is humorously and brilliantly written, with fantastic characters and incredibly high stakes. Be prepared to be glued to the page. Six-Second Summary: On the inside, there's Amber. Surprisingly gentle despite her apparent toughness, she survives day-to-day in juvie by burying herself in books and her imagination. On the outside, there's Violet. Ambitious and murderous, she'll do anything to keep her position as the best ballerina in town. And spanning both worlds is Orianna. Loyal to too many faults, with vengeance in her breath, she holds the key to unlocking everyone's deepest secrets. My Thoughts: Magical realism definitely isn't a genre for everyone. But if you like books such as When the Moon Was Ours, Burial Rites, and The Stars at Oktober Bend, this is definitely a must for you. Six-Second Summary: Four kids with varying extraordinary talents take on a vast criminal empire through a series of quests for the mysterious Nicholas Benedict. 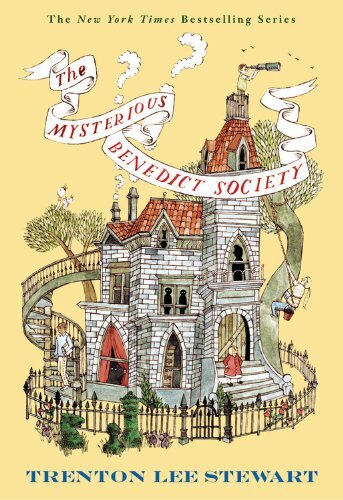 My Thoughts: Intriguing and fun, The Mysterious Benedict Society Trilogy combines humor and whimsy with the perfect amount of thrilling danger. For fans of The Secret Series by Pseudonymous Bosch, this is a must-read. Let's chat! What books are you planning to read this summer? What are your recs for any of these genres? Comment below, and remember that you are all very beautiful pickles. Great way to incorporate everyone's different summer reading tastes! XD I hope you enjoy them! Ooh I love how you did this! 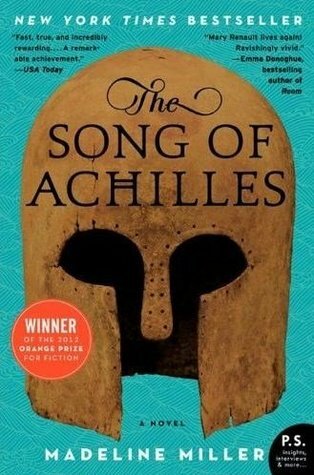 I don't mind fluffy reads, but I honestly prefer ones that rip out your heart sometimes too.😂 I NEED TO READ SONG OF ACHILLES AND ALSO I'M SCARED. 😭 I also need to read the Amulet of Smaarkand! 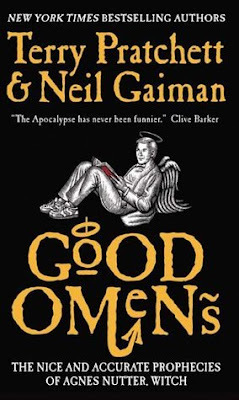 And Good Omens was so hysterically funny omg I adore that book. I like how you broke this down and didn't just stick to one genre. It gives me lots of ideas for this summer! The Wrath and the Dawn is a favourite retelling of mine. Also The Song of Achilles, as heartbreaking as that book was, is one I can strangely see as being the perfect beach read (I have no idea why but I can't get that thought out of my head when it comes to that book). 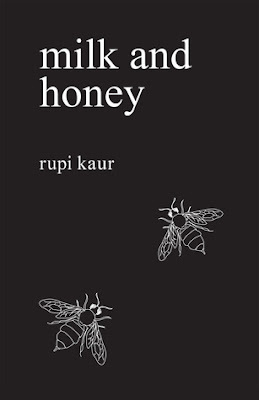 Milk and Honey is a book I still have on my to-read list, I can't wait to get started on it one day soon, you never know based on when I do pick it up it could end up being a summer read for me! Maybe because a lot of it takes place by the ocean in summery weather? I hope you enjoy Milk and Honey! YESSS, IKR. I read it in one sitting. I know exactly what you mean! I want to take so many of the poems and tack them up everywhere for everyone to see. YESSS, YOU DO. It's SUCH a great read. I'll definitely be your first customer if you do :) Thank you, I'm glad you enjoyed reading! 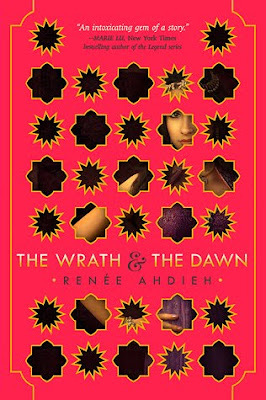 I love The Wrath and the Dawn and while I do think that many retellings can feel a little stale, this one was so unique and really stands out. Great list! I agree! Lots of retellings use the same tropes and premises, but TW&TD was really unique. Thank you! Great list! I've been seeing Milk & Honey everywhere and I'm very curious about it. I've actually tried reading The Wrath and the Dawn but the writing wasn't for me. Maybe I'll give it another chance in a couple of months and try to get through because the story is more than intriguing! Hope you have a wonderful week! Thank you! It's a gorgeous book; you should definitely try it. Yes, the writing definitely isn't for everyone. I had some problems with it in the sequel. Thank you, you too!